E-mail crime is growing due to the ease at which it may be committed. Offenses committed using e-mail may be classified into crimes directly related to the sending of an e-mail (including phishing, spam, and mail bombs) and those that are supported through the use of e-mail (such as threats, harassment…). The best sources of information are the E-mail header, they can tell you the e-mail sender’s operating system and its version, the e-mail application used and its version, the usernames on the system used to send and receive e-mail, and the system hostname and Internet Protocol (IP) addresses. 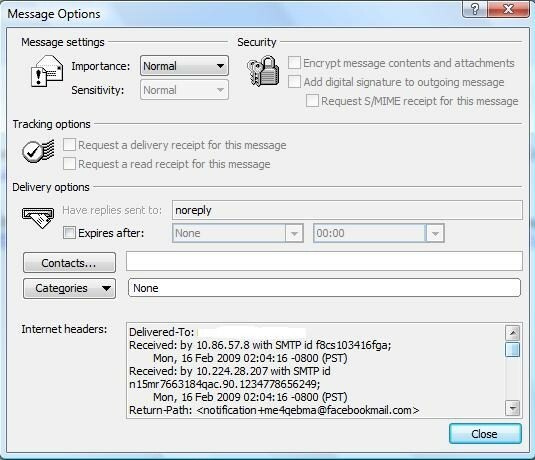 The e-mail message header can supply significant information if examined properly, and help to identify the e-mail source before taking legal action it’s better to send a short notice on the illegality of spam to the system administrator of the domain. SPAM or unsolicited commercial e-mail is both annoying and wastes time, resulting in economic loss. Although it is possible to send an e-mail or note to the domain administrator responsible for the initiating IP address, this will often fail to stop the spam. Frequently, the source address that has sent the spam has been compromised or is otherwise unaware. Furthermore, sending a request to stop the spam often just validates your e-mail address to the spammer. If you persistently get spam from an address, it may be possible to report the incident to the FTC (The U.S. Federal Trade Commission) by sending a copy of the spam message to spam@uce.gov.When making a complaint, you need to include the e-mail header. A copy of the spam can be forwarded to the ISP to make the ISP conscious of the spam trouble on their organization and aid them in minimizing future occurrences.